Day 01: Kathmandu to Pokhara 900m, 6 hours, 200km, Overnight at Hotel in Pokhara (L/D). At 7 am drive from Kathmandu to Pokhara by tourist Bus take 6-7 hours, transfer to hotel or half an hour flight to Pokhara, meet our staff in airport than transfer to hotel, overngiht in Pokhara at hotel. 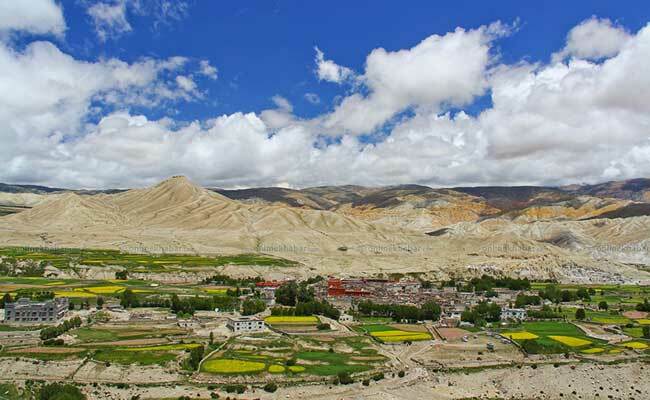 Day 02: Fly to Jomsom and walk for 3 hours to Kagbani, Overnight in Hotel/Lodge (B/L/D). Early morning fly to Jomsom 25 minutes, the district head office of Mustang, Have a breakfast then start walking follow the Thak Khola all the way to Kagbeni. It is gradually flat, night Camp at Kagbeni 3100m, border between lower Mustang and upper Mustang, where is your permit check post. Takes 3 hours to reach Kagbeni, overngiht hotel. Kagbani is the beginning of the Mustang trekking. Check special Mustang trekking permit and start trek to follow Thakkhola valley. The trail goes through the Kagbeni river gorge. The Kali Gandaki river, considered sacred by Hindus, is full of black pebbles called 'Saligram', which is valued by Hindus and Buddhist in Nepal. The river supposedly, flow through gold mines which is proven by the fact that often particles of the gold can be found in Kali Gandaki river sand. 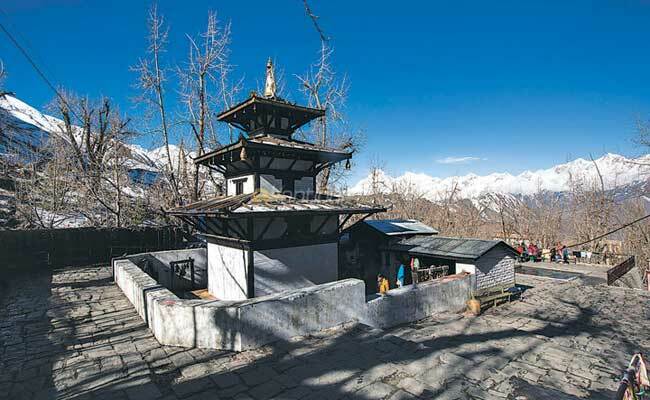 The trek passes through sacred Gompas (Monasteries) and a village called Tangbe situated at 2930 Meter altitude. 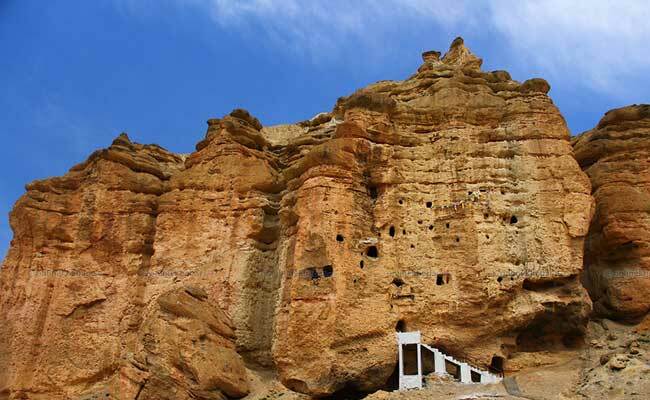 Another village on the way is Chhuksang which still has remains of an old castle built during silk trade period. At Chele the cultural scene changes and more Tibetan type socio-cultural influence prevails onward, overnight hotel/lodge. Day seven is spent in Lomanthang. It is a small town with a rich cultural heritage. This walled town has four major temples. The tallest Champa Lakhang temple was built in 1420 A.D. This temple dedicated to Maitreya the future Buddha. 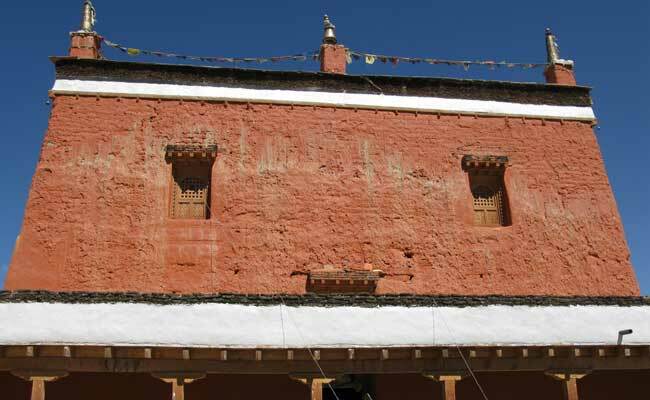 Another temple, Thugchen Gompa is a massive wodden structure also built around 1400 A.D. 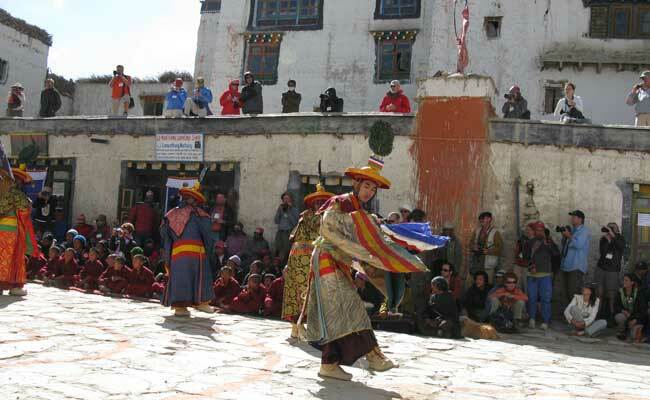 The entire day will be spend in Lomanthang over serving the socio cultural heritage of the locality. Day 08: Lomangthag Nechung (Kora-la Boarder) and return to Lo-Mangthan, Overnight Lodge (B/L/D). A slight variation of the return route heading south first from Lomanthang to Chorang, later turns east, to reach Lo Gekar (signifying 'Pure virtue of Lo' and also known as Ghar Gompa or house temple). The trail climbs steadily to a pass which is marked by a terrain, from where one can have a beautiful view of Lomanthang. From Lo Gekar the trek continues to reach a valley and then descends to village Ghami at 3440 m, overnight in lodge/hotel. From Ghami a direct route is followed to Nyila. Climbing on a ridge the trek continues upward to meet the trails from Chorang and then descends to Gelong valley. The trail retraces the track for the rest of the day with night sleeping at Samar. Retraces the upward trail back to the Kali Gandaki and then to Kagbeni. Return same way to Jomsom. Rest and relaxation at Johmsom. Early morning take bus /Jeep to Beni and continues drive to Pokhara 7/10 hours, or take flight from Jomsom to Pokhara, transfer to hotel at Pokhara. Day 14: Pokhara to Kathmandu by Tourist bus or flight (B/L/D). Return to Kathmandu by Tourist bus 6 hours drives or Flight to Kathmandu, overnight in Kathmandu in Hotel. The special Trekking Permit cost US$ 500 per person for 10 days and more than 10 day per day US$ 50. Annapurna Conservation fee NRS. 2000 per person.